Caribe condo for sale in Orange Beach AL This bright and cozy, 3BR/3BA condo features stainless steel appliances, granite counter tops, and a Jacuzzi tub in the Master bedroom! 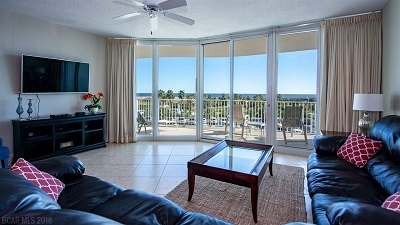 Enjoy the beautiful views of the Gulf of Mexico and the Perdido Pass. Perfect for those who do not like high elevations. Caribe Resort offers over 40,000 square feet of pools with slides and a lazy river. There is something for everyone!